It seems that in the past, the main reason to refer a patient to a therapist was for a tongue thrust. We now have a wide variety of symptoms we need to be looking for which can be treated by a Myofunctional Therapist that can greatly improve our patients’ quality of life. 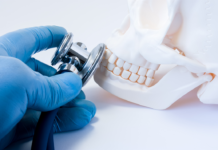 Things such as malocclusion, long-term thumb sucking, nail biting, open mouth at rest, incorrect mastication, and poor oral rest posture should all be considered when evaluating a patient and making referrals. Other conditions that may benefit from myofunctional therapy (MFT) are headaches, GERD and heartburn, TMD, and neck pain. Orofacial myofunctional disorders can be found in children as well as adults. They can develop over a lifetime. 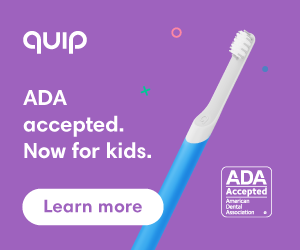 When normal patterns of development are interrupted or are not treated at the appropriate time, the results are further oral dysfunction and malocclusion, as well as cranio and dentofacial developmental abnormalities. While traditionally limited to being “Tongue Thrust Therapists,” we now understand that the expertise in the field of myofunctional therapy is much broader, and every office should have a great therapist to refer patients to, for further evaluation. Rest Posture Therapy would be a much more accurate and modern term. A healthy rest posture is with the tongue on the palate, lips sealed, and breathing through the nose. 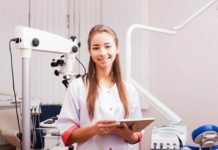 A patient who is being referred to a therapist should also be instructed to consult with their primary care physician as well as possibly referred to an orthodontist. 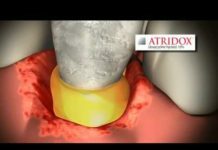 Although a tongue thrust is the easiest symptom to recognize, it is not the cause of orofacial myofunctional disorder.4 We need to be diligent while examining patients, as well as inquiring with patients and their parents, to discover what other symptoms can be found, while a patient is in the dental chair. 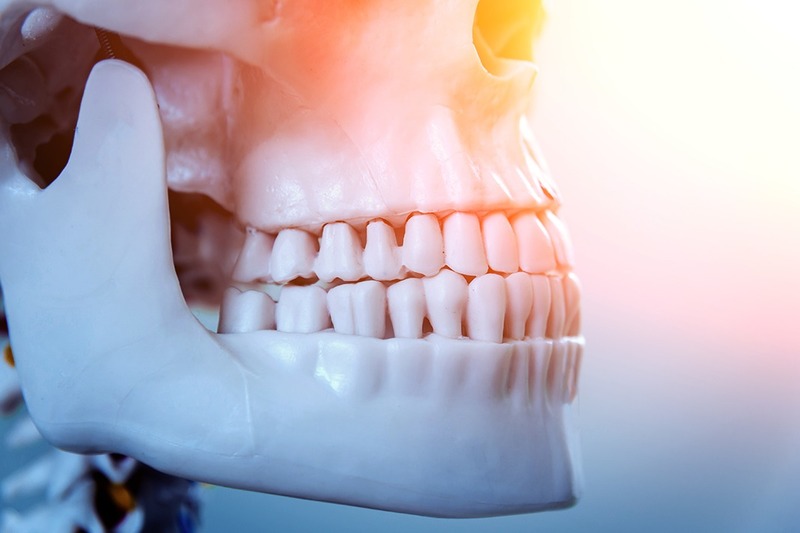 When malocclusion is observed, we must remember that teeth are moved by light and constant pressure; tongue thrust therapy alone will not be sufficient to correct all issues involved. This is a great time to open up the dialog and find out what other issues may be in need of treatment. Orofacial myofunctional therapy is described as neuro-muscular re-education of the oral-facial muscles through a series of exercises, to assist in the normalization of the developing or developed craniofacial structures and functions. 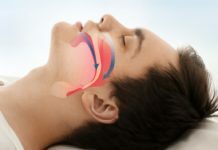 The goals of OMT are to correct habits including grinding, clenching, reverse swallowing (which is thought to be related to GERD), attain lip seal, correct resting tongue position, speech issues, malocclusion, forward head position, high palate, and even TMD. 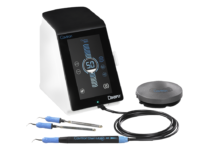 OMT intervention may also prevent decay and periodontal disease. Since muscle weakness within the tongue, mouth and upper throat contributes to so many conditions; MFT can greatly improve the quality of life for so many people, especially children. Pushing the tongue up against the hard palate. Holding a spoon against the lips and pressing the tongue firmly against the spoon. Patients may disclose that they are being treated for sleep apnea. The patients we need to be most concerned with, are those that are untreated. Sleep apnea is present in 1 in 15 Americans or 6.62% of the population in the US. Untreated sleep apnea can increase the chance of a person being involved in a car accident. Untreated, sleep apnea can also be linked to four times increased risk of stroke and three times increased risk of heart disease.5 Myofunctional therapy should be considered when treating sleep apnea because it is non-invasive, inexpensive, and has no major risks. It could possibly be implemented to avoid surgery, as well as the use of a CPAP device. Of course, these types of decisions should be made under full supervision from the patient’s medical doctor. We, as dental professionals, are a part of our patients’ obtaining overall health. 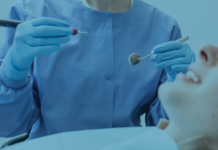 Discussing their options, making these recommendations, and referrals will certainly benefit our patients, not only in their dental health but in their general well-being.